Motivational Quote: Startup is not just a business.. In a first-of-its-kind festival, SPOKEN celebrates the magic of words, giving stage to some of the most vibrant voices in live storytelling, poetry, spoken word and song from across India and around the globe this October 28th & 29th 2017 at Mumbai’s JioGarden. 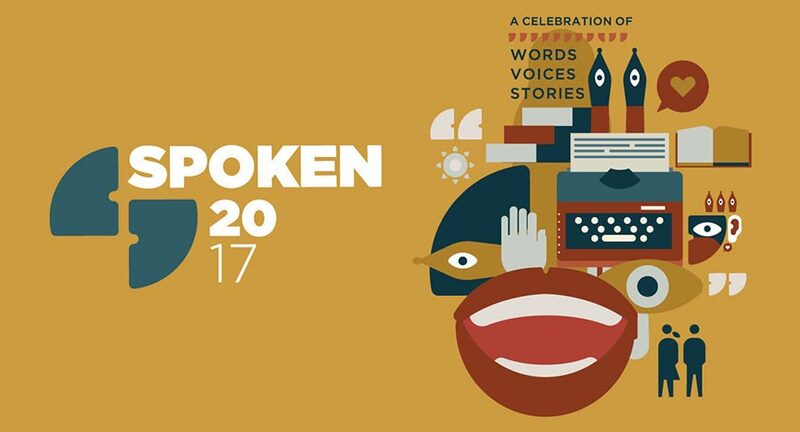 Over the course of two days, SPOKEN will shine a spotlight on more than 50 performers ~ from the shenanigans of U.K. Shakespearian bards, “The HandleBards” to Raghu Dixit’s contemporary folk, poetry from the prolific Piyush Mishra to the outspoken Kalki Koechlin and the ramblings of Kommune’s own superstars, Ankur Tewari, Shamir Reuben, Gaurav Kapur and Tess Joseph among others, SPOKEN serves up an eclectic mix of exciting, performance art and artists in languages as varied as Urdu, English, Hindi and Kannada. Gates open at 3:00pm to buskers crooning crowds from intimate stages scattered throughout the Garden. Or you can discover your own voice, by joining one of our several interactive workshops and masterclasses with Grammy nominated, African American storyteller, Diane Ferlatte. or U.S. Moth GrandSLAM Champion, Margot Leitman. Sign up to learn lyric writing from likes of Swanand Kirkire or get schooled in the art of play with Sumukhi Suresh. These courses will offer rare opportunities to dive deep with a variety of masters in their craft. A full service food court will serve up local grub, offering respite and refueling between workshops and performances. Sip chai on a charpai or grab a beer and an unwind, allowing all those words to marinate. As the sun sets on the city of dreams, our diverse roster of headlining acts will take the main stage for an exciting and emotional rollercoaster of a ride. From theatre to poetry, storytelling to song, you’ll be transfixed, transported and maybe even transformed. “Like the face that launched 1,000 ships, we hope this festival launches a 1,000 new poets and storytellers,” Abbas chimes. Discover your voice. Hone your narrative. Bring a notebook, maybe a blanket to sprawl out on the lawn, bring your friends, bring Nani. If your heart is open to words, age is no bar here. This is for those who Savour. And celebrate the magic and power of words. For more information, visit www.spokenfest.com.